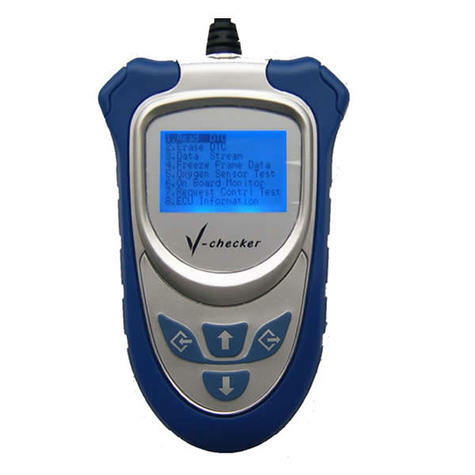 V-CHECKER is a powerful, affordable handy scanner designed for all VW, AUDI, SKODA, and SEAT vehicles include CAN-BUS. It is small in size, robust in design, competitive in price and easy to use. With only 10% of the cost of a large special tool, it can nearly do the same work as that of a VAG1551/1552, VAS5053, or VAG-COM interface plus software. This is a stand alone unit; it does not need a laptop computer to operate.